I DO NOT Inbreed or hold back on food to get the small size. I overfeed my breeders so that they have plenty of milk for the babies, so that the babies come out healthy. All of my piggers are Grand Champions. every time I go to a show I win at least 1 Grand Champion trophy. I win around 8 at most shows! It really is great fun! I clip their teeth and give them an iron shot at 1 day old. The moms are all vaccinated while they are pregnant so they can have healthy babies. All piggers need to be vaccinated (for erysipelas, bordetella, pasteurella, parvovirus, leptospirosis 7 & Ivomec wormer every seven months) as the Vet in your area recommends once a year, just like a dog. 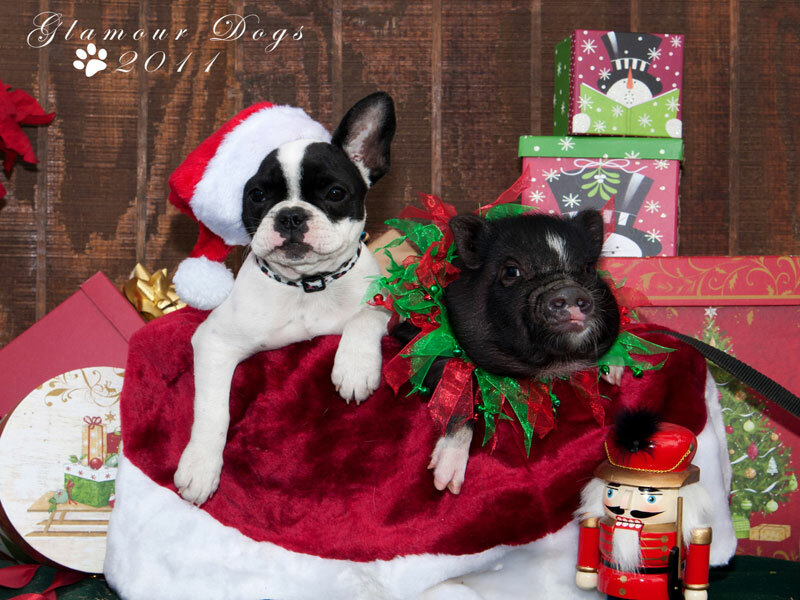 *You need to give your pigger these yearly shots: Erysipelas/Rhinitis, Lepto 6 , Parvovirus , worm medication (with ivomec = 1 dose per week for 3 weeks). They need to be wormed with Ivomec about every 8 months - just put it on their food- it prevents any skin problems & helps promote a healthy pigger. All of my piggers are registered and I have a State Certified Herd. I don't have to do this but I do it for the safety & love of my piggers. All my piggers Parents & grandparents are registered back 25 yrs. with the Potbelly pig registrys. You should see the parents of your baby to see what size your baby will be when it's full grown (the size it will be at 3 years old). It doesn't matter if you get a boy or girl. You can't tell the difference in them once they are fixed. There are a lot of unscrupulous breeders out there who are just in it for the money and not the love of the piggers. They don't care if they sell you Piglets that are too young, bitters or sick. I don't know how many calls I get from people that are crying over the phone because their baby is dying in their arms. Their baby can't eat because it was taken away from it's Mom tooo early!! That bad breeder got his money and that's all he cares about. He won't let you bring the pigger back to him or give you your money back. A baby needs to stay with their Mom for about 7 weeks. How Can You Be Sure About My Piggers? 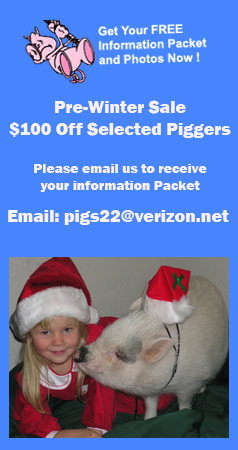 You are welcome to come see my piggers anytime- I love to show them off and brag alittle on how sweet they are. If for any reason you need to get rid of your pigger, even years from when you bought it I will take it back (you can bring it or ship it back to me), and if there is something wrong with it ( health wise, genetically) I will give your money back.